For the next three years (until Summer 2020) the new Enhancement Theme is called Evidence for Enhancement: Improving the Student Experience. The Theme will consider..... What information is useful to help us identify and understand what we do well and what could be improved? This information, which includes qualitative and quantitative evidence, can be used to identify the issues that would benefit from intervention, help prioritise interventions for improving the student experience, and evaluate the effectiveness of those interventions including reporting on the ways in which the student experience has been improved. More information can be found on the Enhancement Themes website. 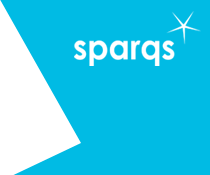 sparqs will be working with QAA Scotland for the duration of the new Theme to support students’ associations and encourage sector-wide student involvement. We are confident that by making their involvement as relevant as possible to their objectives we will increase student engagement in the Enhancement Themes. We hope to support projects led by students and students’ associations, and perhaps even projects involving collaboration between students at different institutions. The Enhancement Themes are a key component of the Scottish Quality Enhancement Framework. The Themes aim to enhance the student learning experience in universities by focusing on particular areas for development in turn and producing helpful resources for students and staff. Throughout each Theme, staff and students across Scotland’s universities are encouraged to work together to explore new and innovative ideas to enhance teaching and learning. As part of the work for the current Theme, sparqs are working with QAA Scotland and students from a range of Scottish universities on a project titled: Responding to the Student Voice: Communicating the Impact. The project aims to explore approaches to informing students about how their feedback has been used for enhancement activities and to improve the learning experience. Given that Scottish Higher Education Institutions have made noticeable efforts in this area, it will provide an overview of current practice in the sector, gather examples of best practice and identify a set of key principles which can be adopted by students’ associations and institutions. In addition, the project aims to produce a national and international scan of practice in this area. The work of the Theme is co-ordinated by QAA Scotland's Theme Leaders’ Group, which brings together equal numbers of staff and student representatives who work on the Theme at their own institutions (one staff member and one student member per institution). The Theme Leaders’ Group makes recommendations and decisions on the direction and work of the Theme and monitors Theme activity. The Chair of the Theme Leaders’ Group is Professor Karl Leydecker, Vice-Principal (Learning & Teaching) at the University of Dundee. The Deputy Theme Leaders are Dr Martha Caddell of Edinburgh Napier, and Professor Nicky Andrew of Glasgow Caledonian University. Read QAA's briefing which gives more info about the new Theme strands. For more information on the Themes in general, visit QAA Scotland's Enhancement Themes website at www.enhancementthemes.ac.uk or contact Hannah Clarke or Stef Black. The Enhancement Themes website contains a huge range of resources, including presentations, papers and other materials that have been produced under each theme. Each year, QAA Scotland and the Scottish Higher Education Enhancement Committee (SHEEC), which manages the Enhancement Themes, identify a project based on the outcomes of Enhancement-led institutional Review (ELIR) that allows universities to work together nationally on a shared priority. These "Focus On" projects have student engagement at their heart. sparqs works closely with QAA Scotland and students' associations in shaping the events and resources that are a feature of each project. We are also able to learn from the projects to inform our own work. sparqs has presented and facilitated throughout the Focus On series, including delivering a keynote address on its guidance on institution-led review at the January 2017 Focus On event on ILR. We also contributed to the March 2018 Focus On event on feedback from assessment by co-facilitating a workshop with the Vice President of SRUC Students' Association.. The previous Theme, which ran from 2014 to 2017, was called Student Transitions, which took a wide-ranging view of the student journey through higher education. The transition from school or college to university and the first year experience. Considering the experience away from the student’s normal place of study through an international exchange or work placements and the transition before and after these experiences. The transition into further study and the postgraduate student experience (both taught and research opportunities). And finally the end of study where students prepare to graduate and enter into the workplace. In the early stages of the Theme, we held an event for institutions to learn more about the Theme, discuss ideas and create plans for collaborative projects. Click here for further information and materials from the event. We have also worked with QAA Scotland to produce a leaflet to help students learn more about how to use the new Theme to enhance the quality of learning and teaching at their university. How is the curriculum, in its broadest sense, shaped and delivered? Who is it for - and how is the student body changing? What support is required for staff? sparqs was hugely involved in ensuring student engagement in the theme. There is a great deal of information on the student perspective in a paper written by NUS Scotland entitled Developing and Supporting the Curriculum: Student perspectives on the changes and developments in higher education.